A history as twisty as its asanas. Yoga wasn’t always an array of beautiful white bodies in expensive clothes with limbs that bend into complicated poses. 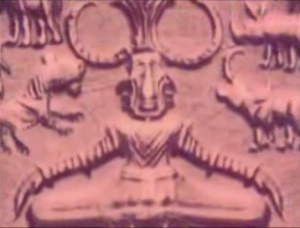 It has a muddled history that began in a decisively brown-skinned world before its appropriation by westerners and eventual viral spread throughout the western world.Possible evidence of yogic practices was found as early as 2500 BCE in the form of a seal featuring what some consider to be a prototype of Lord Shiva in a yoga pose, and textual references to yoga began to appear around 300 BCE, but they described a moral and philosophical practice instead of the physical postures that are so pervasive on Instagram and YouTube. Hatha Yoga, the first arm of yoga to include those physical postures, didn’t manifest until the 1400’s and is chronicled in detail in the Hatha Yoga Pradipika, one of the better-known classical texts on yoga.